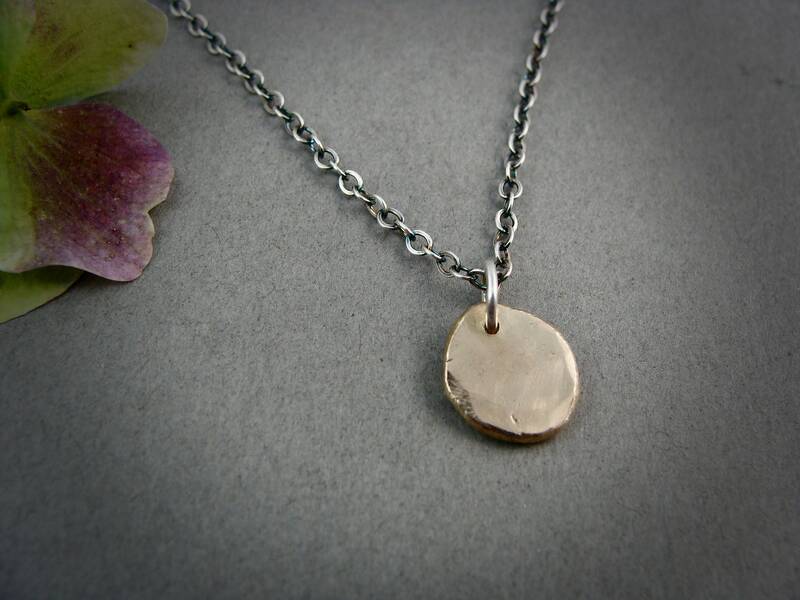 This solid 14k recycled gold pendant has a pleasing organic shape. 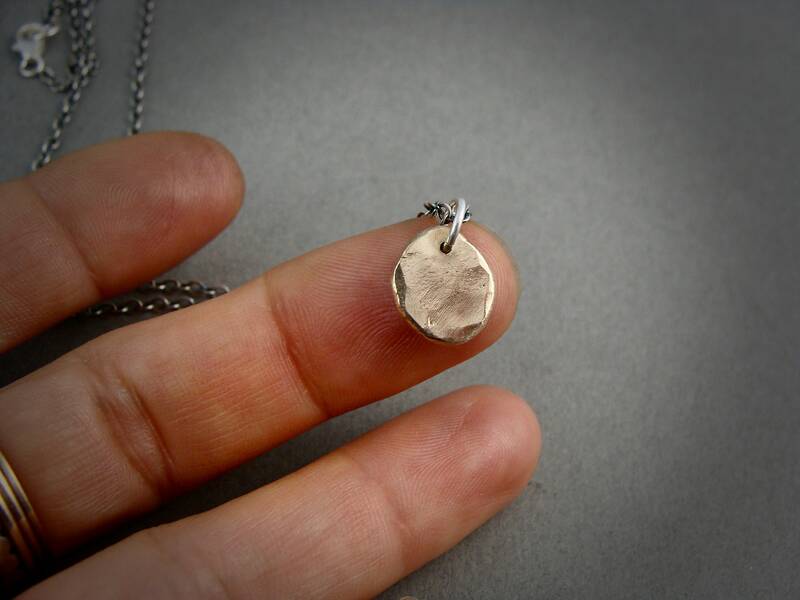 The pendant had been hand forged and hammered to give texture and catch the light. 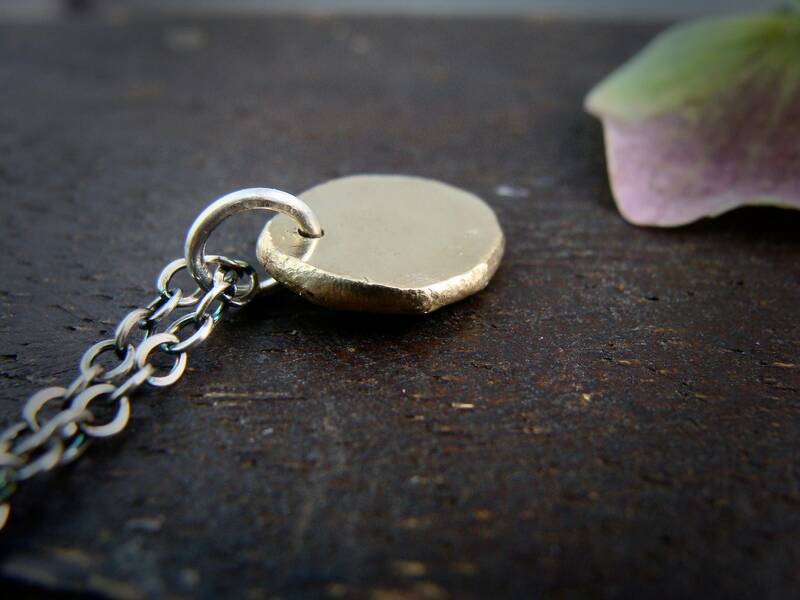 The surface of the gold has tiny imperfections that add character to the organic beauty. 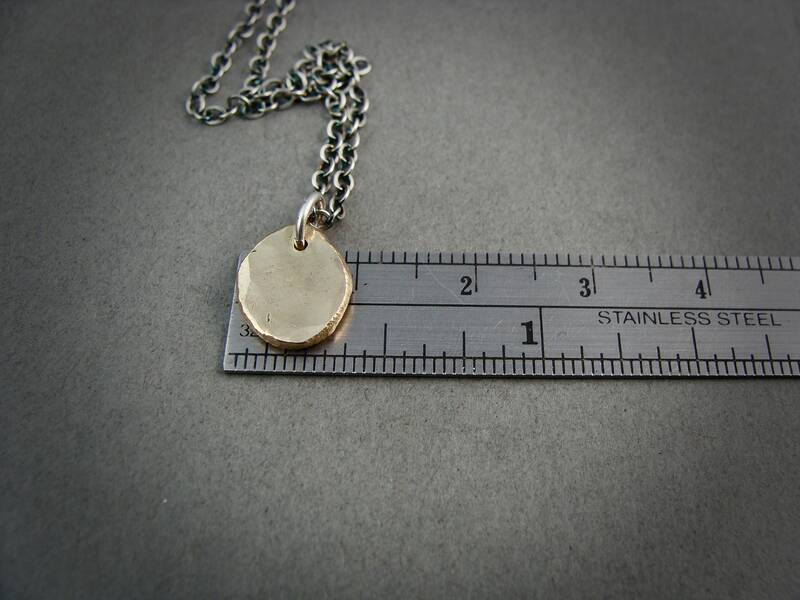 The back side of the pendant has been lightly stamped with a tiny heart. 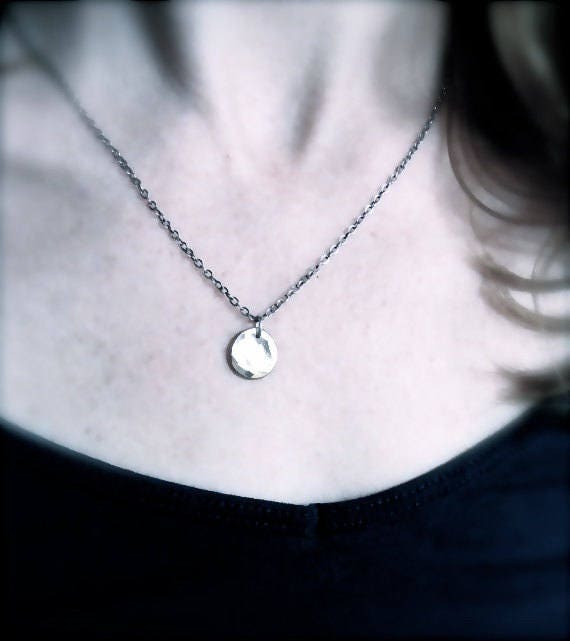 The pendant hangs on a sterling silver chain that has been given a charcoal patina. 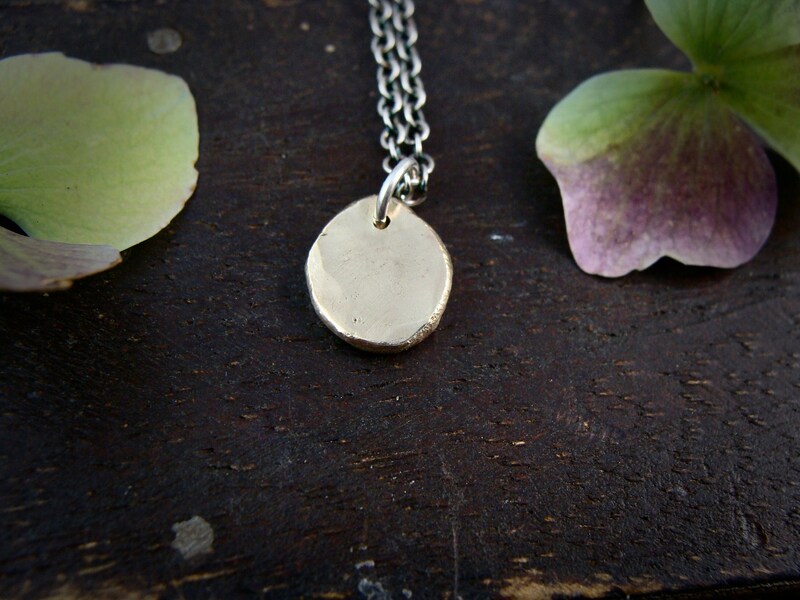 Also available with a bright sterling if you prefer. ☞ Size: approximately 11 mm or 3/8"